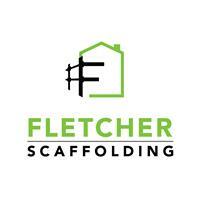 Fletcher Scaffolding Ltd - Hire Services, Scaffolder based in Alsager, Cheshire. Fletcher Scaffolding Ltd – are your friendly, local residential & commercial scaffolding contractors. We believe the key to a successful business relationship is transparency, reliability and affordability. We are passionate about delivering the very best customer services at competitive prices. We offer FREE quotations and advice. Let us take care of everything from the design to supply, erect, and dismantle of an excellent safe platform that is easy to work .You’re in safe hands with our team of trained and experienced experts. We cover Stoke On Trent & South Cheshire area's.